Google on Last Friday announced that the most popular apps, games, music, movies, and books on Google Play India in 2017. Google has also released a list of the top five apps, games, movies, books, TV shows, and music, globally. Among the listed movies, Dear Zindagi is the most popular movie of the year on Google Playin India. Female characters including Moana and Wonder Woman rounding out the top three among the movies chart this year. On the front of top apps, Photo Editor - Beauty Camera & Photo Filters and Messenger Lite led the race in the country in 2017. Locally-developed Baahubali: The Game has emerged as the most popular game of the year, surpassing international titles like WWE Champions, Super Mario Run, and Pokémon Duel. Notably, Pokémon Go surfaced as the top game last year. Indian authors reached the top five list of books on Google Play Books in India with memoirs from Karan Johar, Rishi Kapoor, and Raghuram G. Rajan as the leading slots. In music, the drum-laden Saahore Baahubali by M.M. Keeravaani dominated the Play Music followed by Ik Vaari Aa from Arijit Singh. Globally, Game of Thrones turned out to be the most popular TV show on Google Play - for the second year in a row, while Rick and Morty and The Walking Dead are on the second and third positions, respectively. Kendrick Lamar has become the most streamed song of this year, while Ed Sheeran's Shape of You is now the second-most streamed song worldwide, whereas His DNA holds the number three spot. 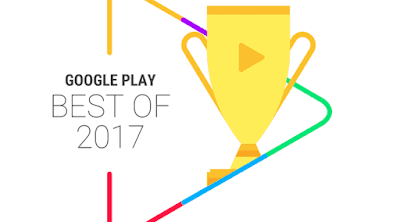 Here, you can check out the complete lists of Google Play's Best of 2017 for the most popular content in India this year, as well as around the globe. 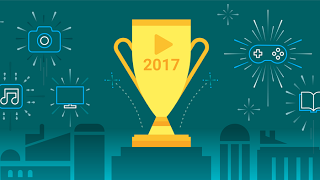 So, those were the best apps, games, movies, TV shows, songs and books of 2017 on Google Play. You can click here to see Google Play’s Best of 2017 for your region.